Another great festival has came and gone. The weather couldn't have been more perfect, the trails conditions faster, and the times any better. There was a good turnout for all four of the festival's events. On Saturday October 8th, the festival started off at 9am with the grueling cross country race. The collegiate A and citizen expert classes endured three tough laps with some tight switchbacks, some great single track, and a bunch of climbing. If you know the Arcata Community Forest trails well enough then the #6 switchbacks mean something to you. 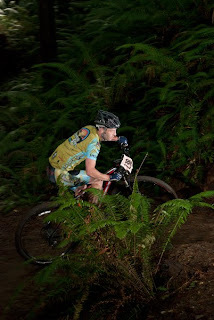 This is where I posted up for a few hours to photograph the racers battle out the tight, steep corners. The short track cross country event started at 2:30pm on the same day. As the name implies it is a much shorter version of the cross country event and a bit more technical. The event took place right in Redwood Park at the base of the community forest. Racers battled out for 20-30 minutes depending on their class, and proved their ability on both the flats and the technical sections. I also photographed the short track race hiding in the ferns in the technical section. 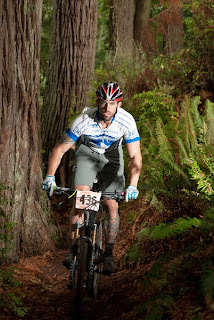 Jason Hayes pushing pedals during the short track race. 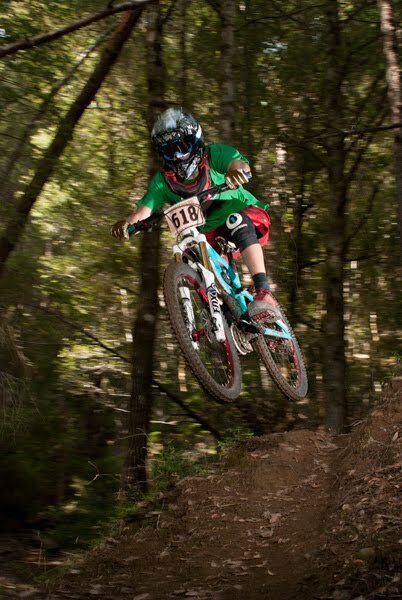 The SuperD and Downhill events took place Sunday at Tish Tang near Willow Creek, CA. Riders came out with their squishy bikes and battle armor for a chance to be gravity king or queen. 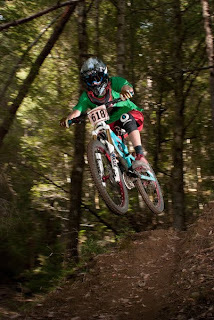 Kent Johnson blasting over a drop in the downhill race on Sunday to take first in his category. To check out all the photos from each of the events go to jmbarnesphoto.com.